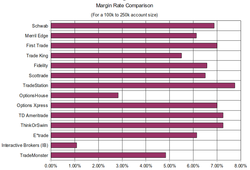 I just finished updating my comparison of broker margin rates. 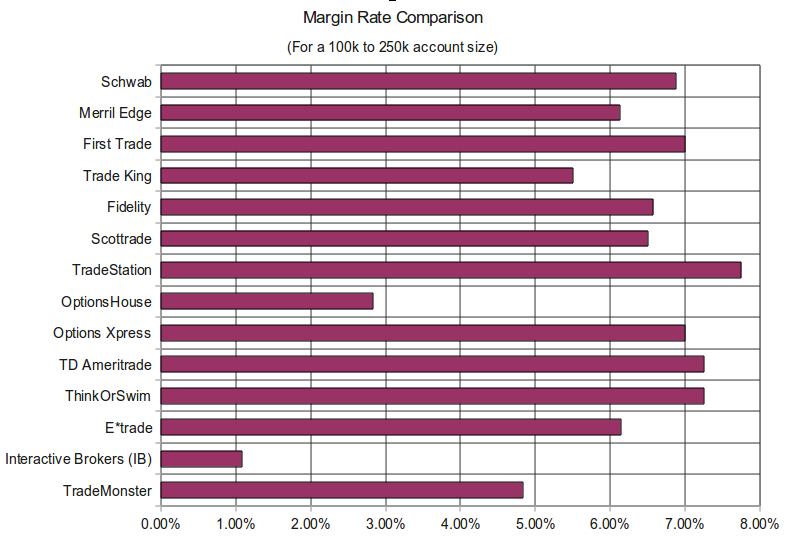 IB still offers (by far) the lowest margin rates, followed by OptionsHouse and TradeMonster. After a several years of compiling this data on a regular basis, it still surprises me just how large a disparity there is between different online brokers. 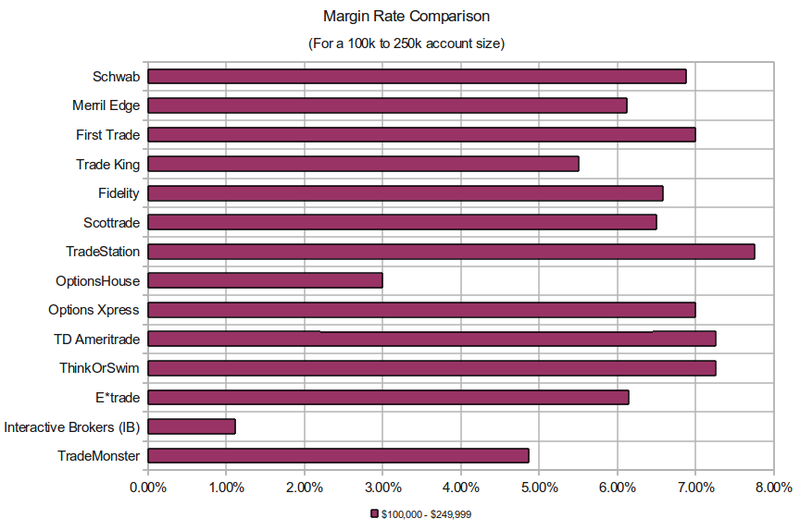 Brokers such as TradeStation, TD Ameritrade and ThinkOrSwim charge margin rates that are several multiples higher than other brokers. The lesson to be learned here is that it's worthwhile to shop around for a broker with a good mix of reasonable margin rates, low commissions, good execution and other factors that make a broker attractive. 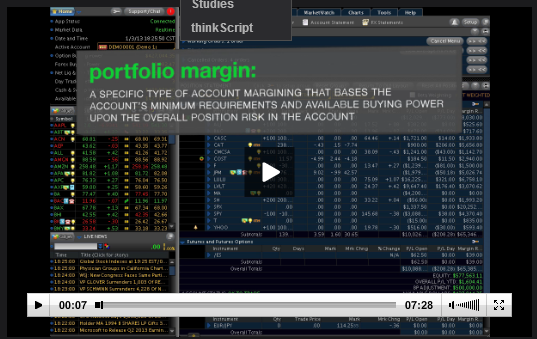 ThinkorSwim just released a 7 minute video tutorial on Portfolio Margin. I've seen a few video overviews of PM and this one is probably the best I've seen so far. It's short, but the video presents the main concepts of Portfolio Margin and is reasonably accurate in its content. Kudos to TOS for their effort.